The reason Alabama’s private angler season is flexible is because of Snapper Check, which allows Marine Resources to closely monitor the effort and catch rate during the season. 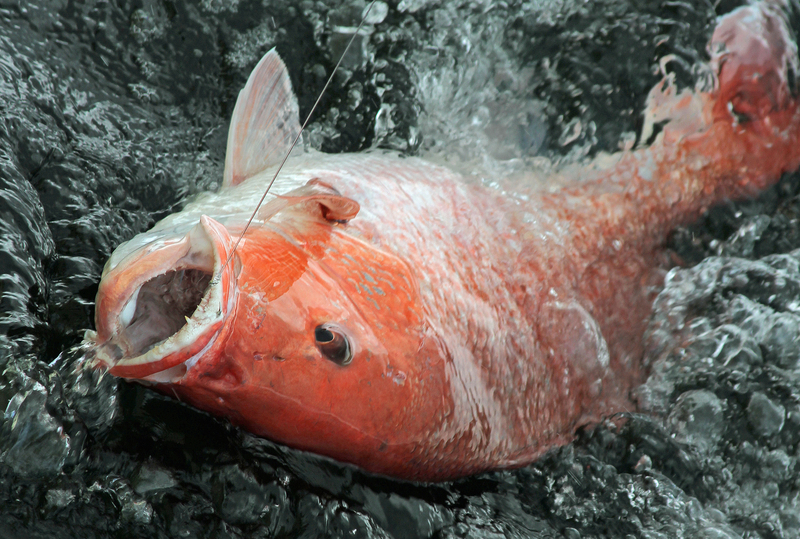 The MRD biological staff will compile the data from Snapper Check to keep tabs on the season. “With Snapper Check, we will be monitoring the harvest weekly,” Bannon said. “Our staff will pull that Snapper Check data, and we’ll meet mid-week to review the estimate of each weekend’s harvest. We will have a good idea of how it’s progressing through the season. If the weather is windy or stormy and the effort drops, we won’t necessarily lose those days or lose those snapper. The new Outdoor Alabama app, which includes Snapper Check, will be unveiled after wild turkey season ends on April 30. The new version, which replaces the current Snapper Check app, will require a download from the appropriate app store. New features are included in the new app. 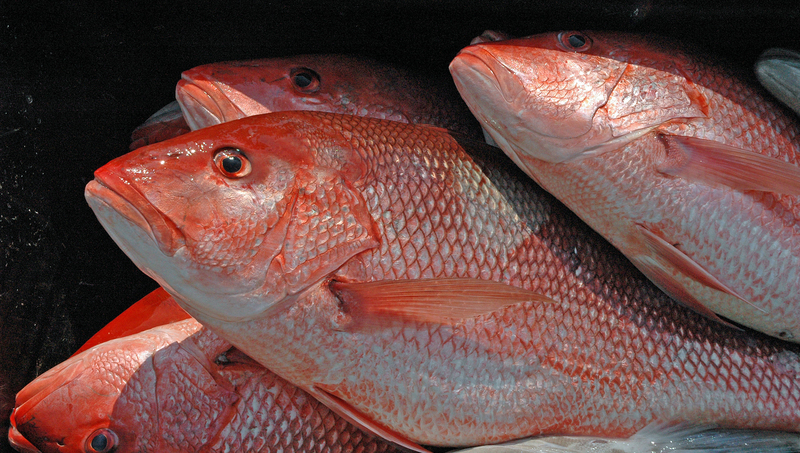 Red snapper, which has a mandatory reporting requirement, was the only harvest report available in the old version of Snapper Check. In the new app, anglers have the option to voluntarily report the harvest of gray triggerfish and greater amberjack. The charter community asked Marine Resources to add those two species to Snapper Check to improve harvest monitoring for those species. Also new for the latest Snapper Check app is the ability for vessel owners to log into Snapper Check and view the reports they have submitted during the calendar year. The landings report will also include the information submitted for triggerfish and amberjack. To access this feature, vessel owners must call the Marine Resources Division at (251) 968-9702 and leave a message with specific identifying information. Owners of private vessels must provide their name as it appears on the vessel registration, vessel registration number (USCG documentation number or state registration number), and the Conservation ID number found on their Alabama saltwater fishing license. Charter boat captains must leave a phone message containing their name as it appears on their vessel’s registration, their vessel identification number (USCG documentation number or state registration number), Vessel Seafood ID number located in the bottom section of their Alabama commercial party boat license paperwork, and their captain identification number (Merchant Mariner Credential Reference Number). A few days after providing the account information, the vessel owner can go to the menu on the Snapper Check app and select the Vessel Landings Report tab and enter the required account login information. If the search is online, the vessel owner will click on the Vessel Landings Report tab located at the top of the page. Bannon said one part of the EFP is that state-licensed charter boats are only allowed to catch red snapper within the 9-mile state jurisdiction. Those boats are not allowed to harvest any fish in federal waters when they are on a charter. Bannon said the public feedback on the proposed private angler season has been very positive. “Most people like the three-day format,” he said. “We do realize that part of the population, and the state-licensed guides, would like to have one more weekday because of the turnover when people are visiting the coast. Most of the condos turn over on Saturday, which makes it difficult for them to accommodate this group. Speaking of triggerfish and greater amberjack, the triggerfish season is currently open. Amberjack season will reopen May 1. Both triggerfish and amberjack will be closed June 1 through July 31. Keep in mind that both species are managed under quotas and may close at any time during the open season if the quotas are met or are projected to be met. MRD Chief Biologist Kevin Anson said a proposal to change the amberjack bag limit was discussed during last week’s Gulf of Mexico Fishery Management Council meeting in Biloxi, Miss. “The council will be looking at potentially updating the bag limit on amberjack,” Anson said. “That’s an option the council will be looking at in the not-too-distant future. The bag limit would be a fractional bag limit with one fish per two anglers. There will also be some talk about refining the seasons, potentially setting hard quotas for the new fall and spring seasons. Another fish of concern for the Gulf states is cobia, also known as ling or lemonfish. As for the 2018 snapper season, Bannon said he is excited about the prospects.